1941, Pearl Harbor changed history. Her choice changed lives. 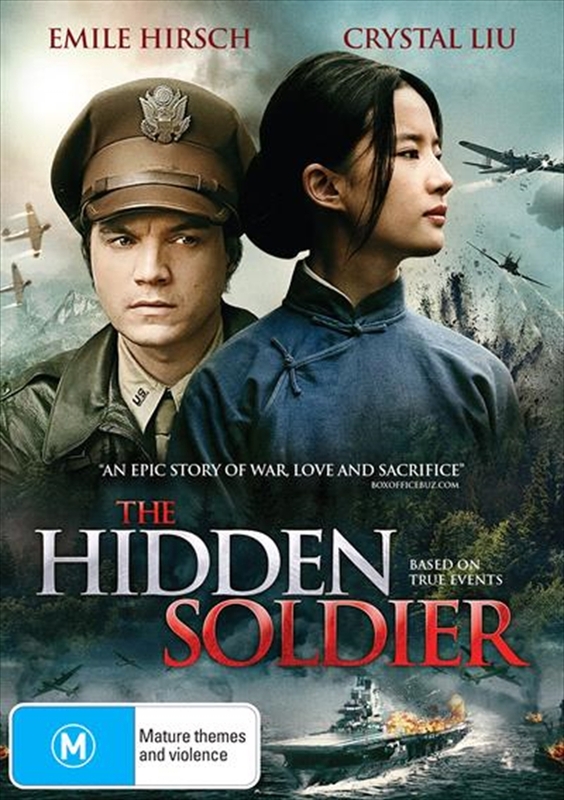 The Hidden Soldier is a tense and heart-wrenching drama about WWII tensions and forbidden love, starring Emile Hirsch (Into the Wild) and Crystal Liu (upcoming in Disneys Mulan). In the 1940s, in the wake of the attack on Pearl Harbor, Air Force pilot Jack Turner is taking part in the retaliatory bombing of Tokyo when he crash lands in remote China. He is saved by a young widow who offers him shelter and tends his injuries. When the Japanese launch a relentless manhunt to find him, the young widow will risk everything to save him.